Just like working out is a step towards training and strengthening one’s body, meditation is a step towards training one’s mind. It is the art of accepting things the way they are and going with the flow. It is finding the balance between letting go and standing your ground. Meditation is being at peace. If you want to learn how to meditate and bring peace in your life, then you have come to just the place. A great meditative accessory to help learn to how to meditate effectivly and get you in the right frame of mind is a meditation based book. This article is about the best mindfulness books for beginners and advanced users alike. Dive in and read about the best meditation books to see what’s in store for you. First published in 1994, this book became a best-seller. Decades later, Wherever You Go, There You Are is still changing lives for the better. 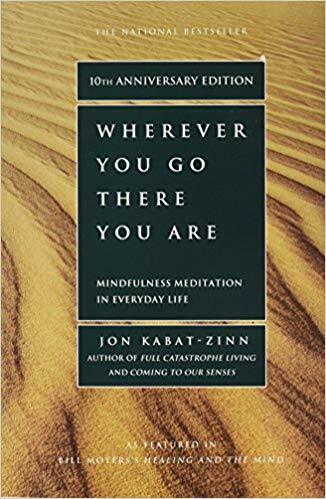 John Kabat-Zinn is the founder of Stress Reduction Clinic in Massachusetts, and regularly conducts workshops on how to release stress and achieve mindfulness. As the title suggests, this book is about mindful meditation. Mindfulness is a process whereby you live in the present moment by being fully aware of your surroundings. Mindfulness can be achieved through meditation. And, if you want to learn how to stay in the present moment, then this is the book for you. Most people just go through life without knowing who they are and what their purpose is; they are just like mindless cattle grazing about in the field of life. This fabulous mindfulness book teaches us that in order to lead a good life, it is important to know and understand ourselves, know what we want to be and know what we want to avoid becoming. Zinn reminds us to take this journey of self-exploration and choose what we want. Wherever You Go, There You Are shows us how our decisions and actions impact our lives – most of the times in a negative way – and what we can do to avoid those. It is one of the best mindfulness books for beginners who have no idea how to go about meditation. It contains simple exercises that beginners can engage in and take advantage of. For some readers, this book might seem a bit abstract in the beginning, but that is most probably because not everyone is familiar with the philosophy and teachings of Taoism and Buddhism (ancient religions). However, as you read on, you will find some valuable instructions on meditation exercises. The best thing about this book is that the author has written in small chapters – which is very easy to follow – and each chapter imparts a strong message to its readers. Go on and indulge. This is yet another wonderful book about mindful meditation. If you want to reduce stress and anxiety, and focus on the now instead of getting worried-sick about what might or might not happen in the future, you need The Mindful Journal. In today’s world where we are bombarded with depressing news every single morning, it is all but natural to feel stressed out and negative, to just want to give up on everything. This is where Barrie Davenport steps in to remind us to focus on the good things that we should be thankful for each day. Davenport helps us develop a habit of appreciating our countless blessings. 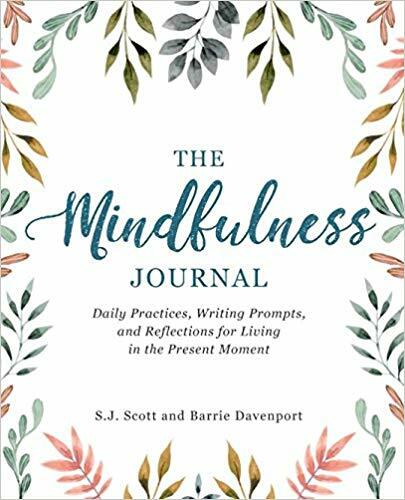 The Mindfulness Journal is divided into 52 topics, one for each week of the year, and 365 prompts or messages. You can fully engage yourself in a topic over seven days, and truly absorb it into your heart and mind; this will help you become a grateful individual. It consists of extremely inspiring quotes that will literally heal your soul. Although the journal is designed such that you should write in it daily, it is totally up to you how you utilize that writing space, and how often you write. However you choose to do it, you will definitely witness yourself becoming a different person. The best thing about this book is that you can use it to write down your memories even; it will be interesting to read after half a decade or so. If you want to discover who you really are, go get this mindfulness book, and start the journey of self-discovery. 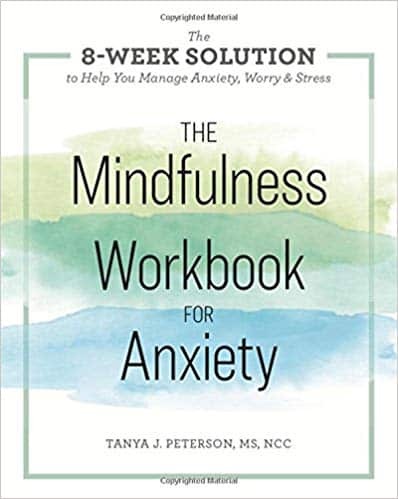 Mindfulness is proven to help combat anxiety and stress, and Tanya J Peterson aims to help you achieve that state of mind through this magnificent workbook. The practice of mindfulness does not mean that you engage in meditation for hours on end; even if you can spare 5-10 minutes daily, you can transform your mind and therefore your life. Peterson has designed an easy to follow plan that covers eight weeks. It consists of mindfulness techniques, simple activities, and clear guidance on how to deal with fear, stress, and anxiety. With the help of this book, you will be able to build the mental tools and strength needed to free yourself of worry and stress in just a matter of weeks. This is a life-changing book. As well as being a superb resource for those struggling with stress and anxiety, it’s also useful for professionals and those who just want to adopt a mindfulness practice. The author really gets it and knows what she is talking about and what she is guiding the readers towards; she has broken down the concepts in a very simple and easy way. The information she imparts in her book can be used immediately. “Peterson’s workbook should be in every therapist’s office.”—Emily Roberts, MA, LPC, psychotherapist award-winning author of Express Yourself: A Teen Girls Guide to Speaking Up and Being Who You Are. Because of its simple and straight-forward structure, guidelines, and activities, The Mindfulness Workbook is among the best mindfulness books for beginners. It is a great resource that the beginners among you will hold dear for life. Mindfulness is becoming more and more common in the modern world of today. Because of our stressful routines, we are in grave need of practices and habits that can help us reduce stress and be more peaceful in our lives. Dr Collard has realized this need and presented us with this fantastic book. Nowadays, no one has hours and hours that they can spare for meditation and chanting mantras; some people might even feel silly about having to chant mantras. It’s survival of the fittest in the 21st century, and everyone is struggling to survive in the constant competition. 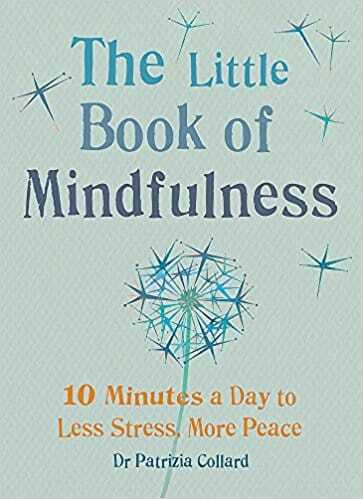 In such a time, Little Book of Mindfulness offers you simple 5-10 minutes of exercises and routines that can help you lead a more peaceful life. The duration of these routines is very short, but their benefit is priceless. Collard has designed a very straight-forward book which is just what you need for on the go. At the end of the day, it does not matter how much you know; what matters is how positively mindfulness can impact you. You can use these short exercises anytime of the day; to kick-start your day with enthusiasm, to give yourself a break from the constant race of daily life, or to wind down in the evening. You can introduce these exercises even to children and teenagers to encourage them to indulge in a little quiet time each day. Its simplicity means that you can incorporate it very easily in your routine, no matter how hectic. There is nothing like taking a break from the stress of this life, and having a free empty mind with nothing to worry about. Little Book of Mindfulness contains vivid illustrations and inspiring meditations that everyone will want to practice. The book also contains physical exercises to stretch the body. You will find them very helpful towards freeing your mind as well. In addition to its reasonable price, the simple and introductory nature of Little Book of Mindfulness makes it one of the best mindfulness books for beginners. Moreover, if you are more interested in the actual practice of meditation instead of just reading about it, then you need not think anymore before getting this book. Being human, it is normal to feel negative every now and then. But, if you are the kind of person who is always feeling negative and under a truck-load of stress, then you seriously need to de-clutter your mind. You need to create space in your mind that can focus on the positive things in your life, and help you feel happy and peaceful about them. Without realizing, we let our negativity and complaints impact our life in an awful manner. In Declutter Your Mind, you will learn about several mindfulness techniques that will help bring you clarity of mind, give you the ability to prioritize what is important in your life, and what you need to let go of. 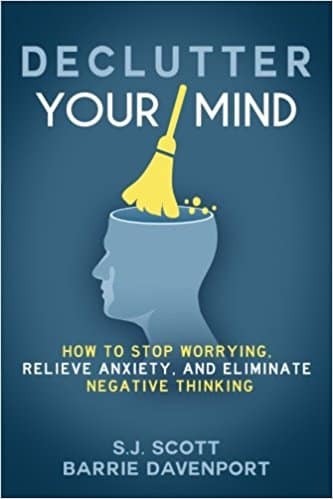 This great mindfulness book will teach you about the causes of clutter in your mind, strategies to improve bad relationships that cause you anxiety, a simple strategy to help you discover yourself, and the benefits of meditation and breathing. Instead of telling you what to do, Scott tells you how to do it. The book is full of science-backed exercises, which if practiced on a regularly basis, can greatly and positively impact your mindset. What makes this book stand out from other mindfulness books is the fact that it does not just tell you to strengthen your mind and let go of poisonous thoughts, it tells you how your environment and relationships can impact you, and what steps you can take to strengthen them also. Just like everything in the world is imperfect, this book has its shortcomings too, such as the idea of breaking up bad relationships to clear up your mind; this is a subjective concept which varies from person to person, culture to culture, and situation to situation. Some readers might be offended by this idea, but this one shortcoming should not let you ignore all the wonderful benefits that this book will bring you. The book is designed in such a way that you do not need to go through the entire book to learn something. You can just go through the table of contents, choose the topic that applies to you, read it and be amazed by how it impacts you. This book contains clear instructions and simple language which can be easily read, understood, and implemented; that makes it yet another one of the best mindfulness books for beginners. There is peace and beauty present in every moment that passes by, but because of our cluttered minds, we fail to notice it. Hanh is a world-famous master of Zen who teaches you that there’s peace in every step, and happiness is as close to you as your next breath. All you need to do is open up your mind and your heart to that happiness. 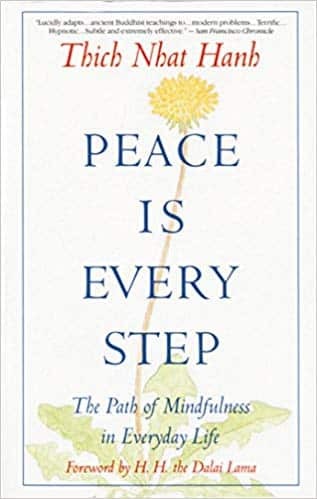 Peace Is Every Step is a lucidly written book in which Hanh has written about his real-life experiences as a community leader, teacher, and peace activist. The book also contains meditations and commentaries inspired by the author’s personal experiences. Hanh teaches you how to perform exercises that will increase your awareness of your own body and mind, your relationships, and your environment. Hanh has helped countless people through rough stages of their lives with the help of this superb mindfulness book. The book is divided into short chapters which are easy and quick to read. Each chapter gives you food for thought. The meditation techniques that this book offers you are simply fantastic, and anyone who reads and practices them is sure to love it. Do not be deceived by the simple appearance of this book – the information and knowledge that you will gain from it is deep and meaningful. This is one of the best meditation books to help you become a calm and balanced individual. The author’s words are extremely soothing and at times, the words of the book might seem very simple, but the meaning they carry is dense and life-changing. Because of Hanh’s Buddhist background, the book teaches humility, simplicity, and acceptance, which in itself is an important step towards achieving calmness in life. Peace is Every Step is a gem, which your home library deserves to have on its shelves. 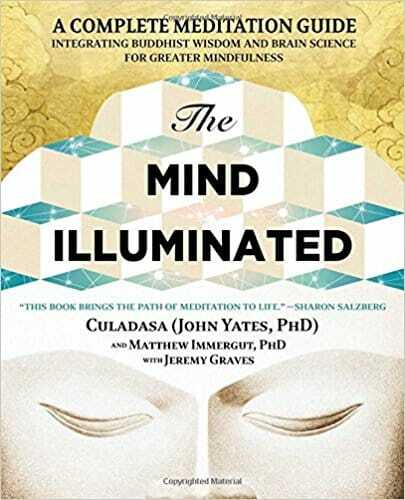 The Mind Illuminated is a scientific approach towards meditation, and is an awesome read for beginners, thanks to its step-by-step instructions on daily meditation. This book is the first of its kind because it’s written by a meditation master who is basically a neuro-scientist. The book presents its readers with a 10-stage program that is based on ancient teachings of spirituality combined with brain science. Dr Yates has shown a fascinating model of the way the human mind works, and the steps that you can take to overcome absent-mindedness. This meditation book is like a manual with charts and illustrations that are designed to help its readers through all the ten stages of the program. “If you’re serious about meditation, The Mind Illuminated should be on your bookshelf.” – Lama Marut, author, A Spiritual Renegade’s Guide to the Good Life. It’s amazing how something so simple as breathing in a specific way can be so profound; this leads to so many questions, and this book gives you clear answers for all the questions in your mind. This book will take a beginner from a completely basic stage to an advanced stage with its vast knowledge. This is one of the best meditation books for beginners to illuminate your mind with the teachings of Buddhism as well, but the best thing about it is that it just gives a general explanation instead of focusing on the orthodoxy of Buddhism. 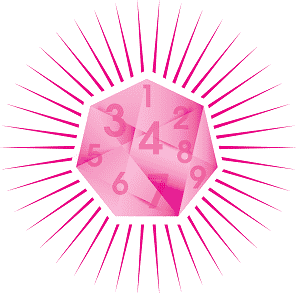 The Mind Illuminated gifts its readers with meditation exercises that actually bring about positive results, unlike some meditation books that do not give their readers the output that they promise. In Hinduism, Kundalini is believed to be a form of essential energy that is located at the spine’s base. Deep meditation is believed to result in Kundalini awakening which takes you to a state of total bliss. This form of meditation involves yoga, breathing, and chanting of mantras. Khalsa offers advice and solutions to people suffering from psychiatric disorders, people who are in a bad relationship, and to people who just want to help themselves grow and improve. For many decades, yoga has been used just as a means of physical fitness, but over the years, people have come to realize its power in the mental field. Medical practitioners and patients both are adopting yoga and meditation to help them deal with mental disorders. The author has been a yoga instructor for over three decades, and he has extensive experience in the field of psychiatric disorders. In this meditation book, he talks about scientific insights, case histories, and clinical trials to explain how the use of Kundalini yoga can help people achieve control of their mind. The book takes you on a journey into the workings of the mind. It shows how different forms of mental disorders, such as obsessive-compulsive disorder, depressive disorders, addictive and eating disorders, bipolar disorders, sleep disorders, can be treated with the help of Kundalini yoga. This form of yoga combines the strength of your body and mind to transform you. Each chapter of the book presents you with different poses that you can perform to achieve peace in your life. 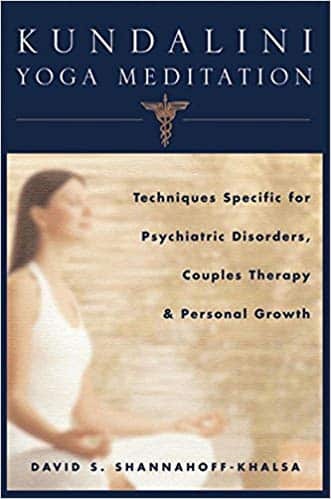 After looking carefully into each disorder and how it can be dealt with, the book concludes with problems that couples face in a relationship, how it can negatively impact them, as well as problems that people face on an individual level, and what each can do to overcome these problems. This book is an amazing resource for psychotherapists, psychiatrists, social workers, and psychologists in helping their patients. The book contains some technical information which some readers might find a little boring or distracting, but this is invaluable information for clinicians working with mentally challenged patients. Individuals can easily implement the exercises in the book and ignore the technical part. David has given the society a great gift in the form of this book. Let us know in the comments what your best mindfulness books are. Have the books listed above helped you in your meditation sessions? 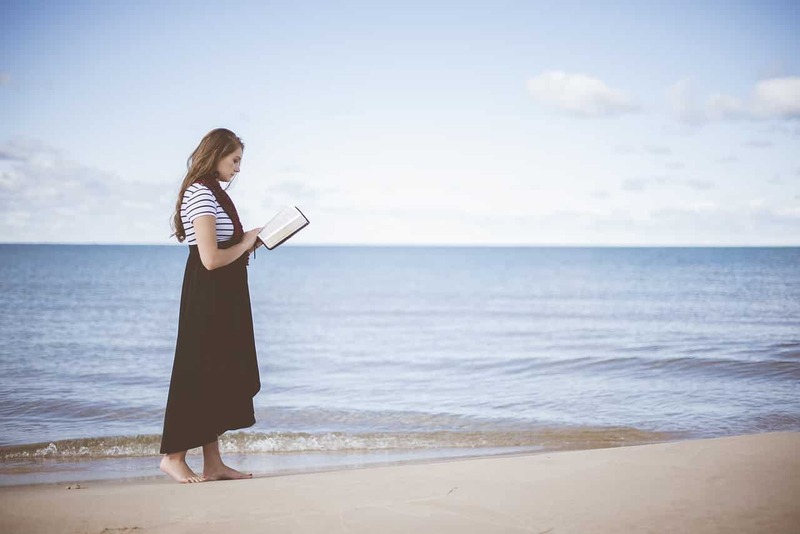 Find the best mindfulness books for beginners and advanced users alike. Learn how to meditate and bring peace in your life with these top meditation books.